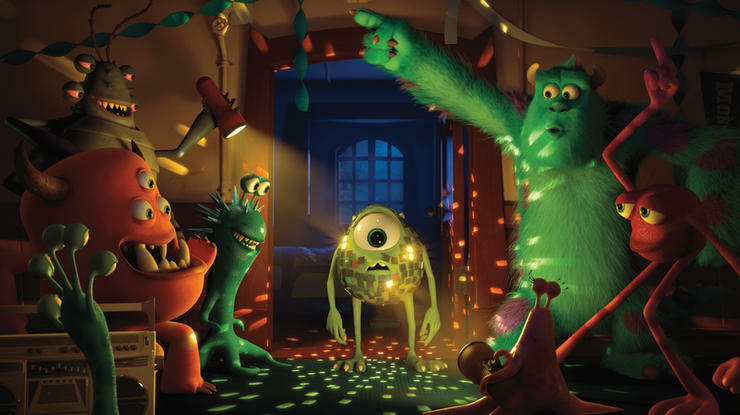 We've been friends with Mike Wazowski (Billy Crystal) and James P. "Sulley" Sullivan (John Goodman) since 2001, but what happens when friends become monsters? Um... monster enemies? That's the hook in Pixar's Monsters University, a prequel that puts our favorite scaring duo in college. 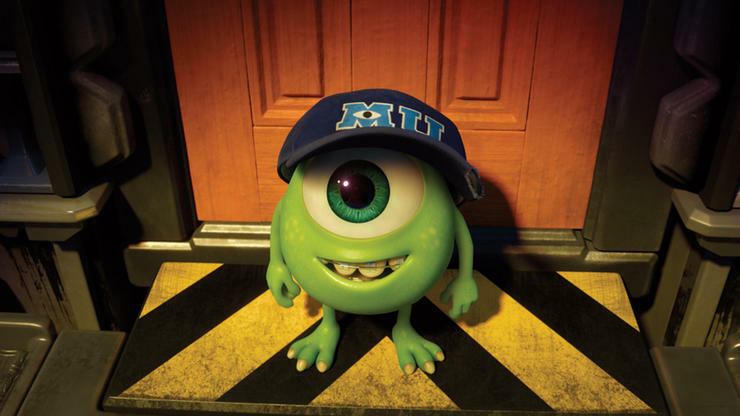 The very first time I saw Monsters, Inc., I wasn't that impressed, thinking it was just "not bad." That's because I'm an idiot. Well, it's probably because I wasn't in a good mood or something, and it was before my days as a film critic so I didn't analyze, I just moved on to the next one. 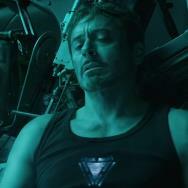 Since then, I've been able to see the brilliance of the film. When Pixar announced it was continuing the Monsters world, it seemed like there were only two schools of thought. 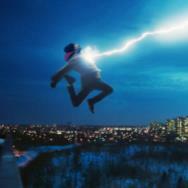 One, I hope the Pixar folks capture some of that sequel brillance like they have with the Toy Story franchise. Two, I hope they avoid that desperate feeling of a cash grab that is the Cars franchise. Thankfully, Monsters University is a quality, comedic gem, but we're about to find out how it stacks up to the original in this Film Face-off with Monsters, Inc. vs. Monsters University. Mike has an eye for talent, and he's attached himself to the best scarer around. Mike is the motivator (getting Sulley out of bed and exercising), he's the sidekick (Sulley gets most of the credit), and he's the brains of the operation (desperately trying to figure things out when they go awry). Sulley will sometimes be a little lazy, but he's the best scarer, very humble (saying things like "May the best monster win,") and has a huge heart (emotional and probably physically). Mike and Sulley are best friends. Mike has a dream to be the best scarer and he will work harder than anyone to make that dream happen. He studies, motivates and will eventually work with his enemy if it helps him succeed. The problem is, he's just not that scary. 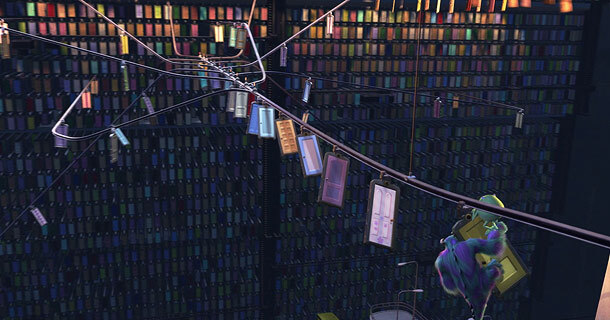 Sulley is, but that lazy quality we see just a little bit in Monsters, Inc. is much greater. He's a legacy at Monsters University, and doesn't feel like he has to try (read) in order to succeed at the art of scaring. Mike and Sulley are enemies thrown together. It really comes down to the final sentence in the two descriptions above. Do you want to watch best friends on an adventure, or do you want to watch enemies have to figure out their differences and eventually work together (and like each other)? I almost always want to watch the friends. Mike and Sulley's friendship is questioned once in Monsters, Inc., but that doesn't last long, as Mike quickly realizes he'll do anything for his best friend, even if Randy Newman doesn't mention it in a song. The film device of enemies working together feels terribly overdone for me, but luckily Monsters University has plenty else going on. Monsters Incorporated is a factory where monsters scare children for the energy it creates within their world. The monsters have been told that children are toxic and deadly. Doors work as portals into children's bedrooms, and they enlist the best scarers around to extract the children's fear. Monsters University is one of the premier colleges in this land, and they have a proud tradition of producing the highest caliber of scarers. Separate from the scaring school, there are also the Scare Games, which is an annual competition to see what team can work together the best. It's the multiple viewings of Monsters, Inc. that really show the brilliance of the fully realized world. Sure, both movies have plenty of monster puns (which somehow work really well for me), but Monsters, Inc. feels fully dynamic. Their CEO Henry J. Waternoose (James Coburn) is willing to try anything to keep the company strong, and when rolling blackouts happen, and kids don't scare as easy, he's willing to do anything. Even their motto, "We scare because we care," is simple and brilliant. The Monsters University world feels easy. There's nothing wrong with easy when it is done well (like in this case), but it really is just a reworking of the college concept that we've seen in Revenge of the Nerds and Old School for the G-rated audience. Beyond Mike and Sulley we have Boo (Mary Gibbs), Randall Boggs Steve Buscemi, Henry J. Waternoose, Celia (Jennifer Tilly), Fungus (Frank Oz) and Roz (Bob Peterson). After that it's a bunch of extremely small roles. After Mike and Sulley, there's Randall, Dean Hardscrabble (Helen Mirren), Johnny (Nathan Fillion), Squishy (Peter Sohn), Don (Joel Murray), Terri and Terry (Sean Hayes and Dave Foley) and Art (Charlie Day). Winner: Monsters, Inc. AND Monsters University. That's right, it's the first ever category tie. No, I didn't know it could be done, either. 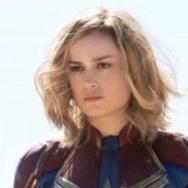 Boo is amazing and we'll get to her in a later category. Monsters, Inc. definitely has the better villains with Randall and the twist of Waternoose, but with Monsters University there are more fully realized characters. Fillion was born to play an animated, arrogant BMOC (Big Monster on Campus). There are times when Murray's Don steals the comedic show as a salesmonster gone back to school. Terri and Terry could have their own spin-off, and I didn't even mention Professor Knight (Alfred Molina), Claire Wheeler (Aubrey Plaza) and Chet (Bobby Moynihan). If Moynihan isn't employed as a repeat Pixar performer than the world will be a sadder place. Even if it didn't give me the highs that the side characters from Monsters, Inc. did, this supporting cast helps carry the film during the predictable lull that I felt with Mike and Sulley butting heads. Mike and Sulley must figure out a way to get Boo home, while Randall is doing everything to trap her in a scare machine. This takes them behind the scenes at Monsters Incorporated to the elaborate world of many doors. Oozma Kappa must work together to cross the finish line in the first competition of the Scare Games. They need to be careful though because their are toxic sea urchins along the way. Watching Mike and Sulley compete (even though they're on the same team) is funny in Monsters University . Seeing everyone on Oozma Kappa balloon up when they hit a sea urchin is hilarious. Unfortunately that's not enough to surpass the best action scene in Monsters, Inc.. That film is a thrill ride, with almost nonstop action once they have to deal with Boo. They're still able to up the ante with that elaborate chase through many different locales. My favorite moment within that is when they run through the French apartment. It's tiny comic gold. Boo is a happy little girl who is just learning how to speak. Sulley bonds with her almost immediately, enough though it takes Mike a while to warm up. Young Mike's class goes on a field trip to Monsters Incorporated. He's enamored with everything he sees and sneaks into a room to watch scare legend Frank McCaywhen (John Krasinski) do his work. Raise your hand if you teared up at any moment during Monsters, Inc.. OK, keeps those hands up if you also had any salt water drip from your eyes in Monsters University. Look around the room, see how only a few people still have their hands up? I know it's a different beast, but beyond friendship, heart is what makes Monsters, Inc. so vibrant. I would say it's the comedy of Monsters University that keeps the momentum going. Boo is the embodiment of adorable. 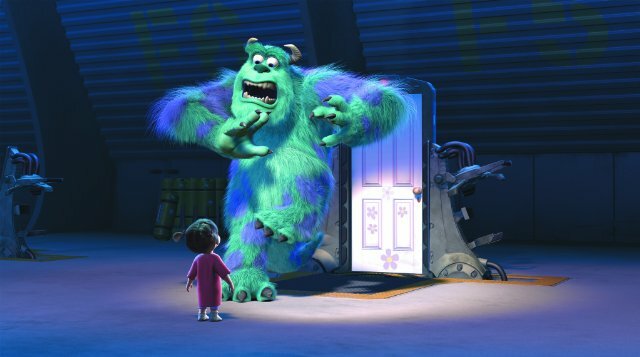 Calling Sulley "kitty," singing her pee song in the restroom, saying Mike's last name, and being truly scared when she sees what Sulley is capable when trying to scare is all unbelievably heart-warming considering it's an animated toddler. When Sulley tries to help Mike at the end of Monsters University, there's a saddness there, but feeling sorry for Mike is not the same as being connected to Boo. 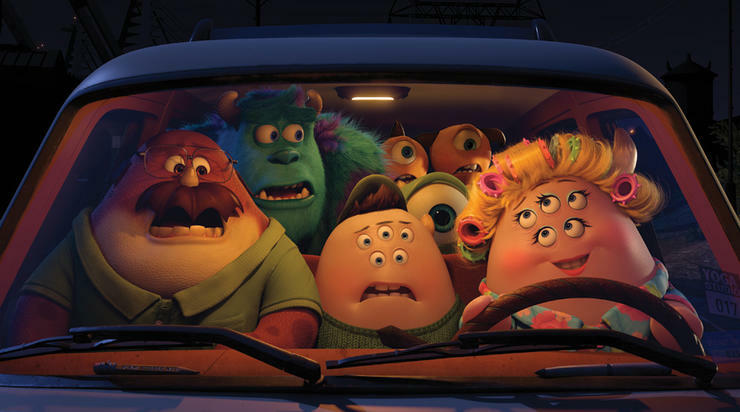 OVERALL WINNER: Monsters, Inc. over Monsters University, 4-0-1. This is another case of the movies being closer than the outcome. Monsters, Inc. gets a 9/10 and Monsters University receives an 8/10 for my score of the films. Within these categories, Monsters, Inc. just got hot. That can happen in the cutthroat competition that is Film Face-off. Most importantly we can breathe a sigh of relief. Toy Story isn't the only Pixar franchise we can enjoy in multiple servings. That honestly provides me with comfort since it appears Pixar doesn't have any problem forgoing new projects for the past (I'm looking at you Finding Dory). Now, if we can just get that petition going to enforce Billy Crystal to only attempt comedy in animated form.